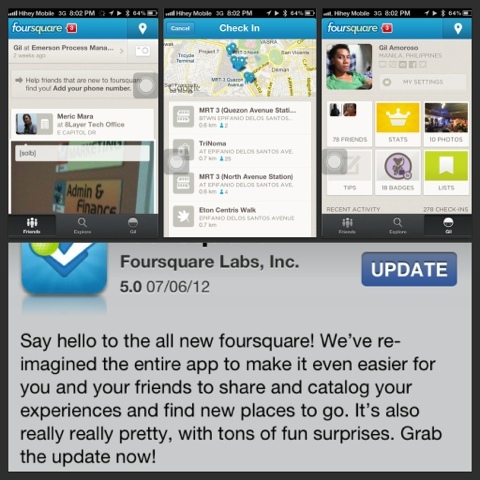 I haven't checked the android marketplace yet so i cant say if this is already available for android users too. 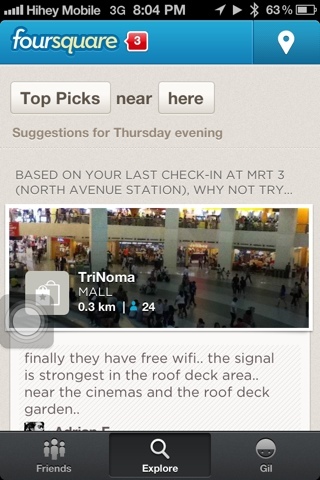 One thing is for sure though, iOS users can now enjoy this app with revamped ui. 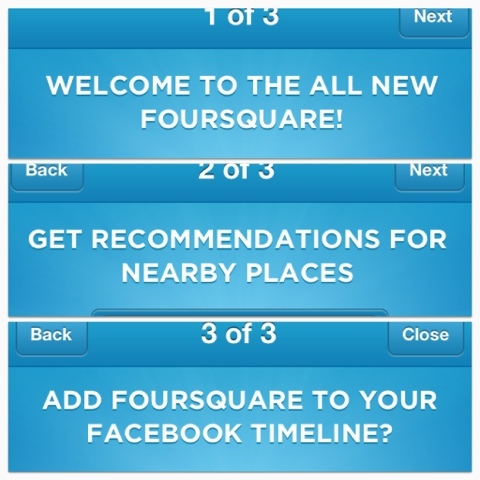 As you can see from the screenshots below, the new foursquare is now focused on recommendations an less of checking , but it still allow you to check in to places (anyway it is where their data comes from). Focusing on recommendation is a good strategy for me since it will be a good place to start placing location based ads (nearest resto etc). We'll see.